How about this for ‘modern’? 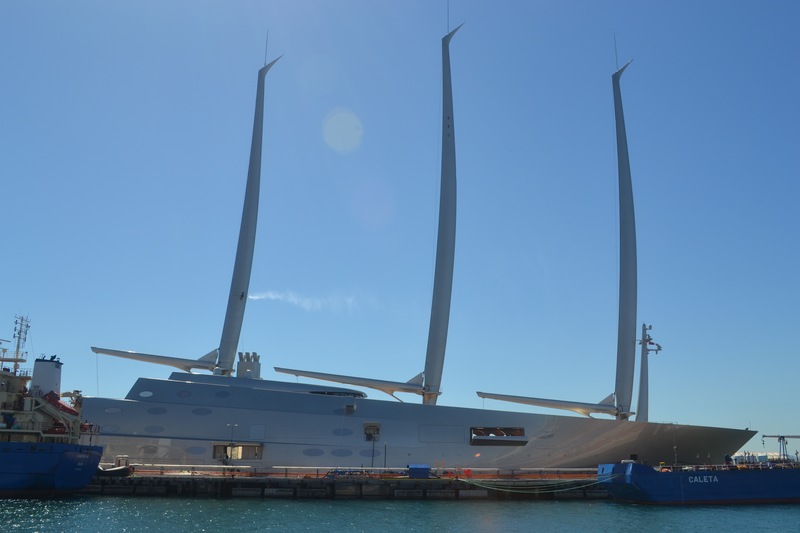 Yacht ‘A’ which is one of the world’s biggest and most expensive yachts was back in Gibraltar last weekend. Costing squillions of pounds to build and designed by Phillipe Starck, it reportedly has 8 floors and a helipad amongst it’s features. The masts are taller than the tower of the Palace of Westminster which houses Big Ben. 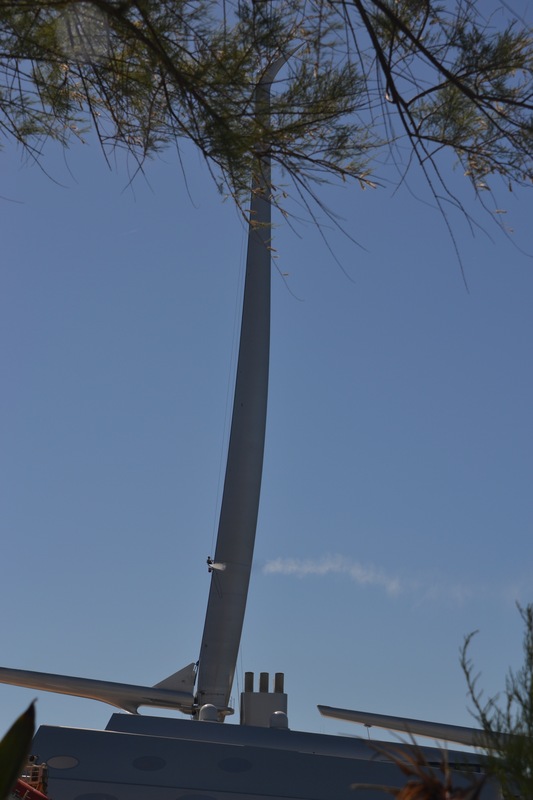 To give you an idea of scale, you see that jet of what looks like steam coming from the mast? It was caused by a man on a harness using a jet washer to clean it! 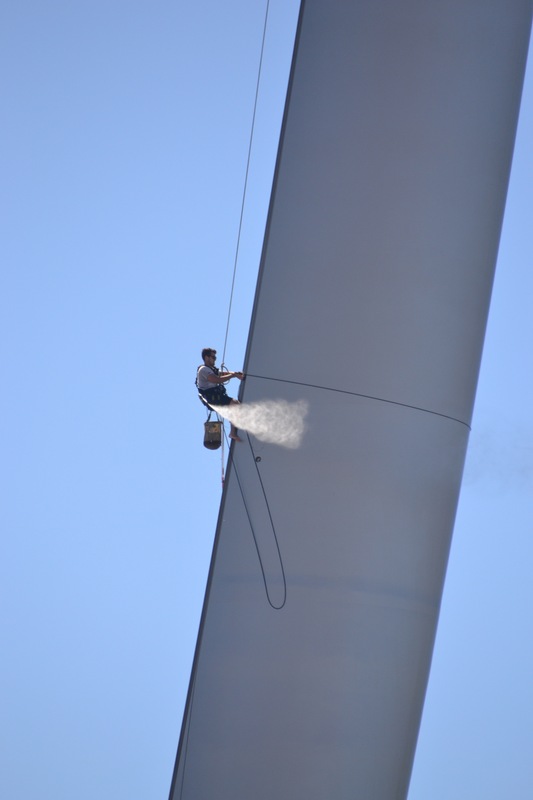 I’m not sure I could do his job, a bit high up for my liking. 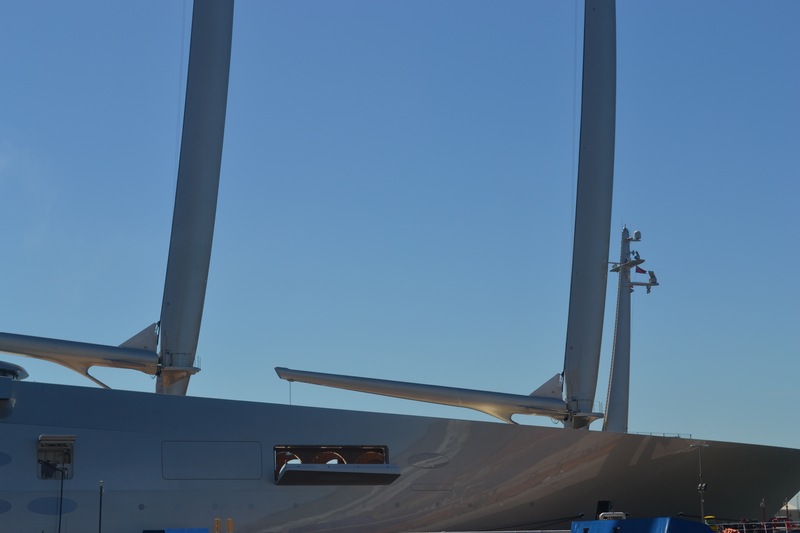 Sadly, because of the boat’s position, when I photographed it, I wasn’t able to get it in full view. 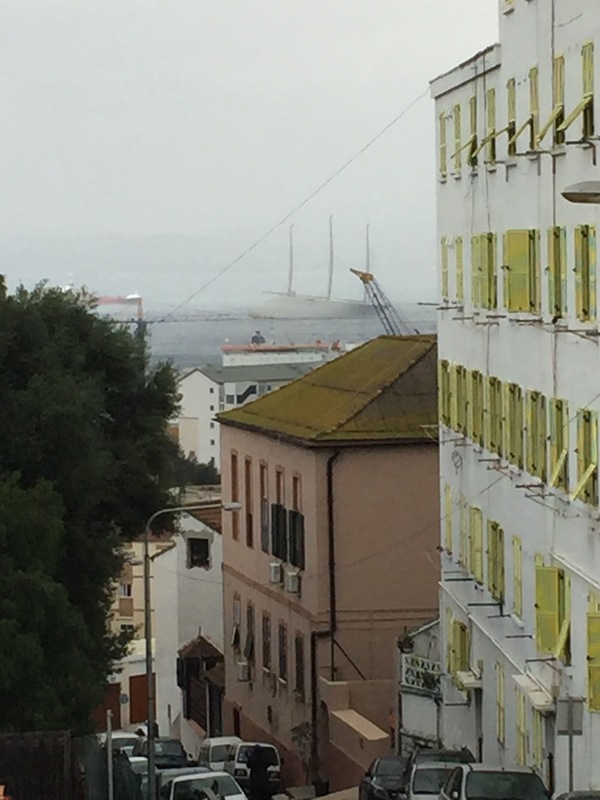 Here’s slightly grainy image of it when it was moored in Gibraltar earlier this year. I’m linking with Nana Cathy & Wild Daffodil for this weekly photo challenge throughout 2017. Wow that is totally incredible. Brilliant interpretation for Modern. Thank you Cathy, it appeared in the harbour just in time for me! Amazing images, but I still like those little yachts anyone can sail.